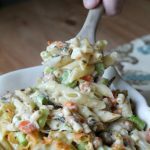 A huge thanks to our friends at Ken’s Foods for sponsoring today’s post. 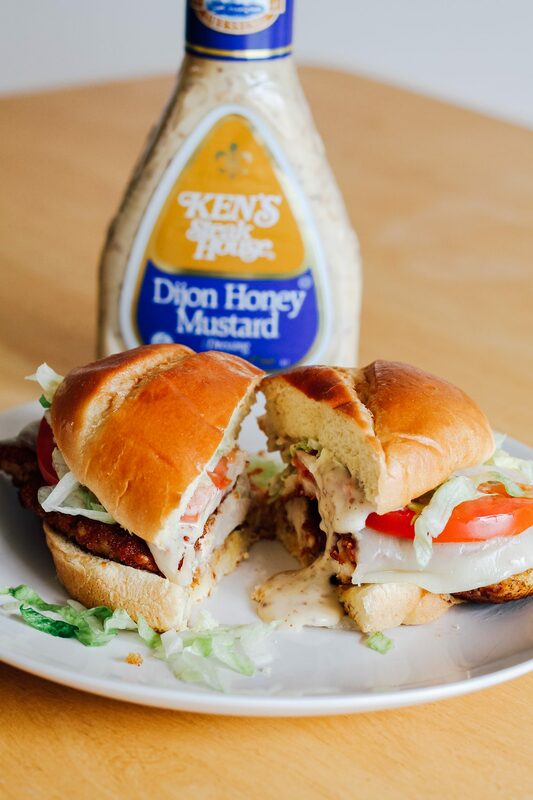 Keep scrolling to get the recipe for this delicious Dijon Honey Mustard Fried Chicken Sandwich. Hope you’re all having a wonderful day so far! I am so excited to share this delicious Dijon Honey Mustard Fried Chicken Sandwich recipe with you today. It was created by my husband who is just the sandwich mastermind, he took culinary classes, and has worked at two different sandwich joints in his time so he knows his way around a delicious sandwich. 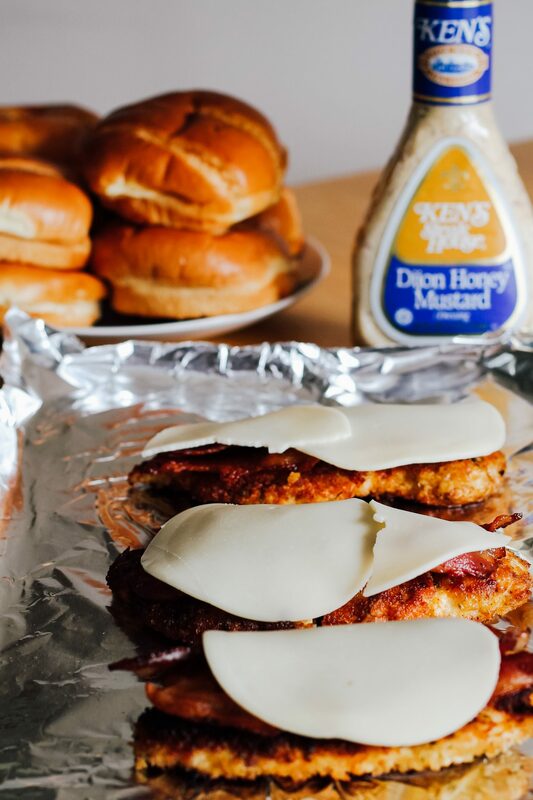 This Dijon Honey Mustard Chicken Sandwich is perfect for a weeknight dinner, entertaining friends on the weekend, or any upcoming summer parties. 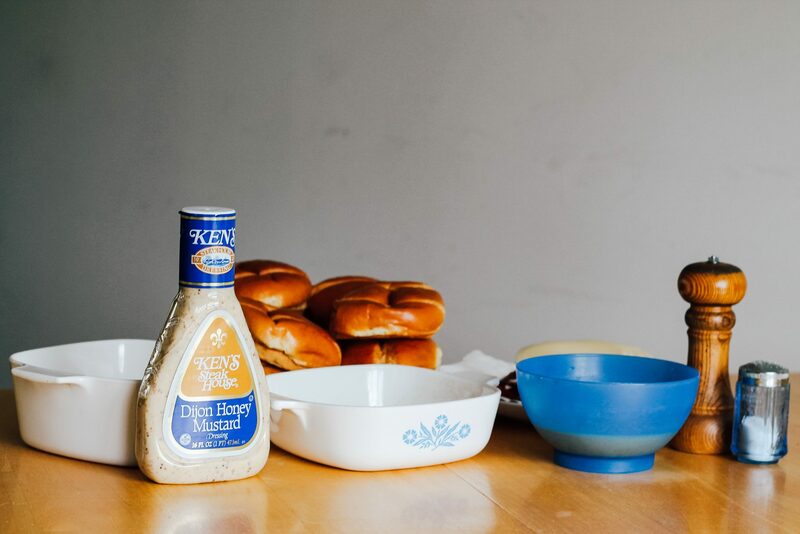 It’s got a delicious crunch that is in a world of it’s own, and the new-to-the-market Dijon Honey Mustard is the perfect finishing touch. 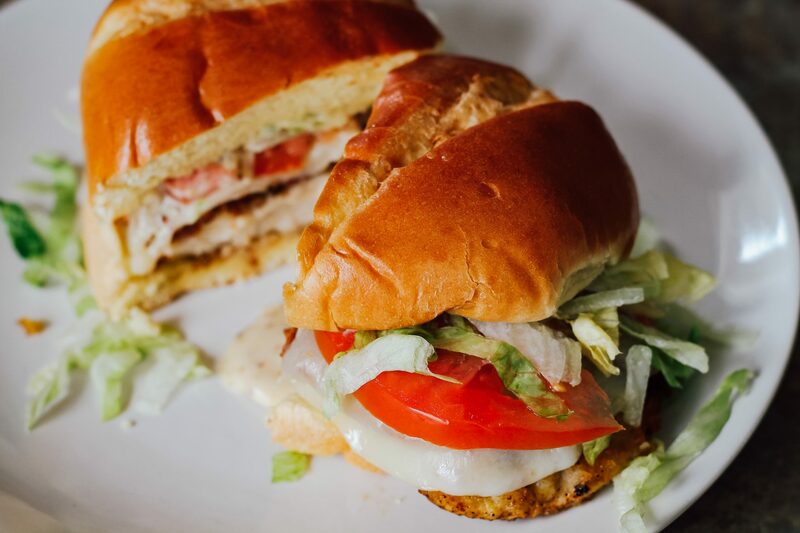 The crunch of the fried chicken with the richness of the dressing makes for the perfect chicken sandwich! 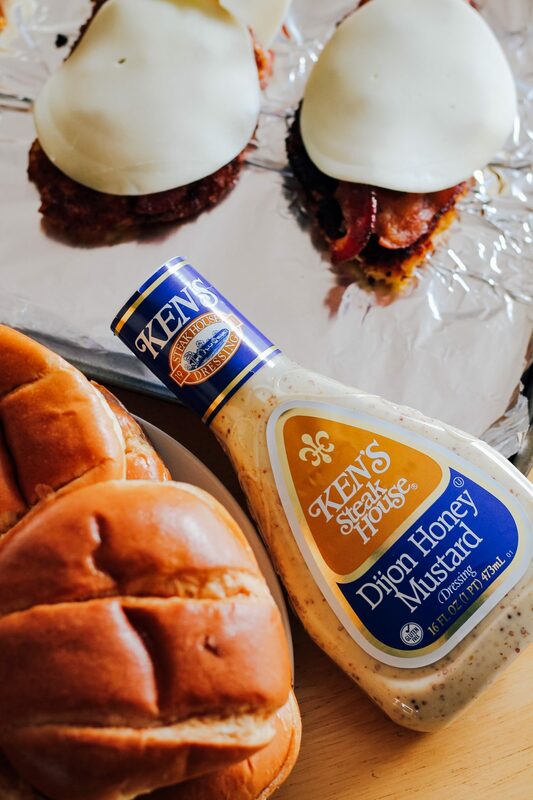 There are over 60 flavors of Ken’s Dressing, so even if Honey Mustard isn’t your thing – they’ve got you covered with all of their delicious flavor options. But believe me, you’re going to want to try the Honey Mustard, it completely elevates the sandwich with it’s rich, mellow, yet sweet flavor. Step One | Rinse chicken breasts. 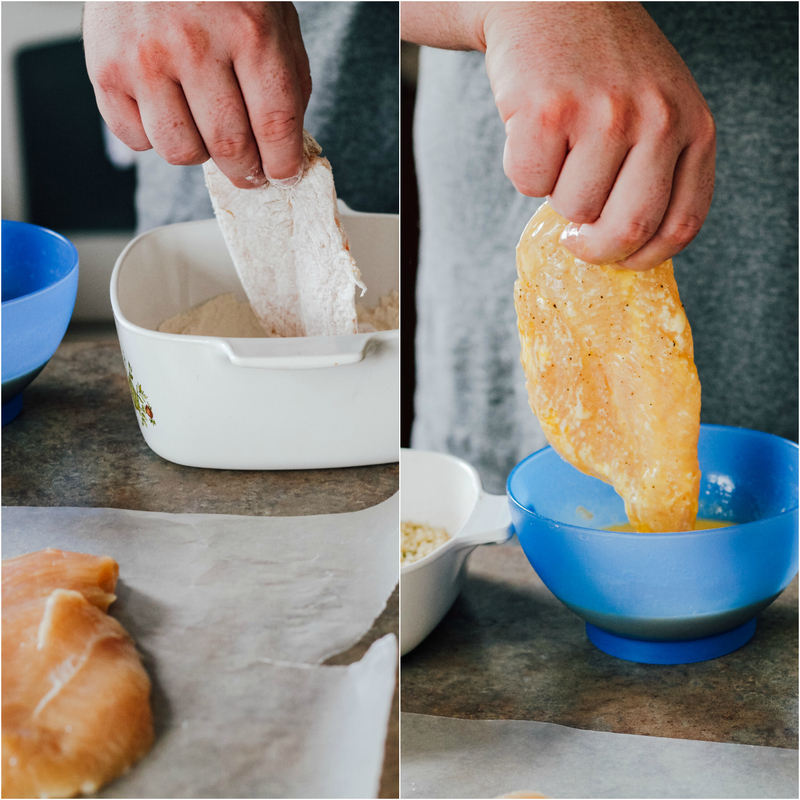 Step Two | Coat the chicken breasts using the all purpose flour. 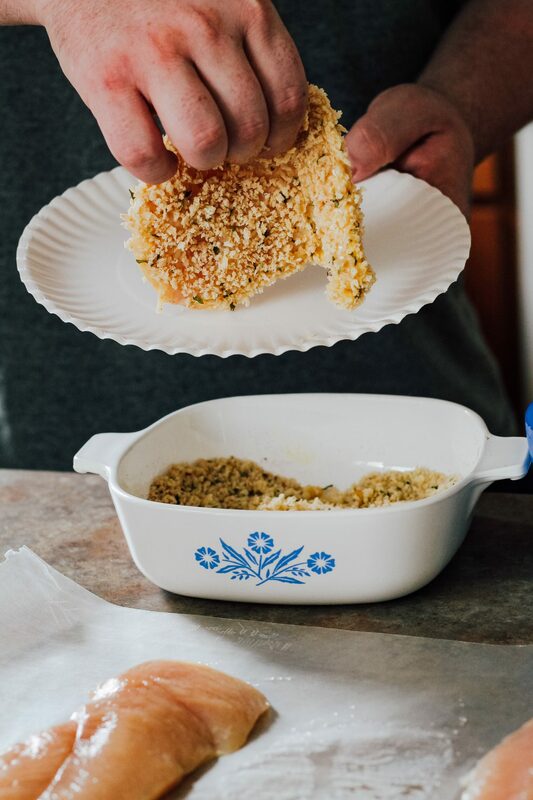 Step Three | Coat the chicken breasts using the Panko / Creole mixture. Step Four | Heat 1/2 cup olive oil in a nonstick pan over med/high heat until hot. Step Five | Place chicken breasts in pan, cover and cook for five minutes. Flip the chicken breasts, cook an additional five minutes. 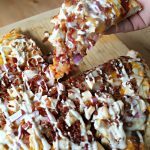 Step Six | Put the buns on a baking sheet, place chicken breasts on the buns, add bacon on top of the chicken, add a slice of provolone on top of the bacon, bake at 350 for 5 minutes or until cheese has melted. 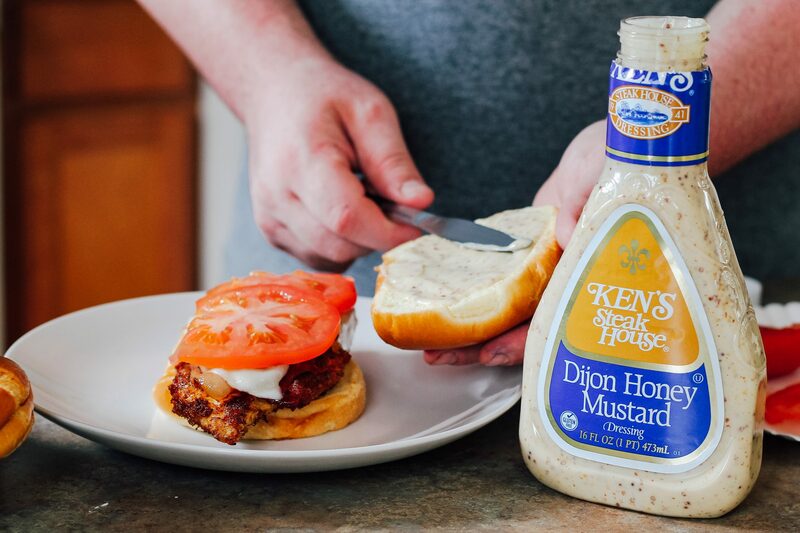 Step Seven | Add a tomato slice, lettuce, and top it off with delicious Ken’s Dijon Honey Mustard. This sandwich is just so flavorful and delicious. 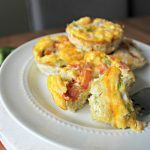 It’s got this amazing crunch to it that is unlike anything else, and I just can’t wait for you all to try it at home! If you do make it, please come back to let me know how you liked it! 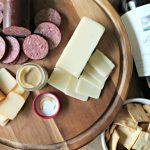 It is definitely one of my top five favorite sandwiches and I’m just so excited that we were able to share it with you! 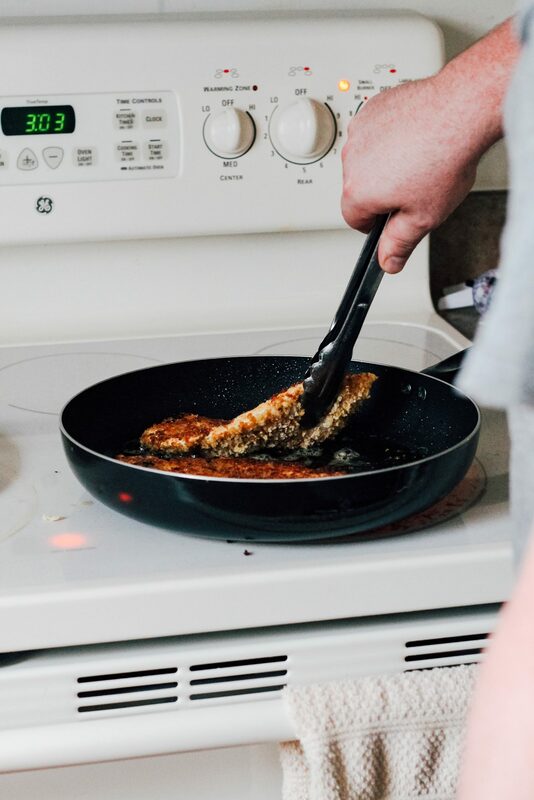 Don’t worry, this isn’t the end of the sandwich line – my husband and I will be teaming up to create a total of three recipes for Ken’s Foods using a few other new-to-the-market flavors, today is the first and we can’t wait for you to see what we have in store for the next two! I’ll give you a little hint, the next dressings we’re incorporating into recipes are: Ken’s Garlic Parmesan, Ken’s Simply Vinaigrette Garlic and Basil, and Ken’s Simply Vinaigrette Asian. Are you a fan of Ken’s Dressing like we are? You can connect with Ken’s on Facebook, Instagram, Pinterest, and Youtube.